Why does CAIR, the Council on American-Islamic Relations — an entity that the FBI says is a front for the terrorist group Hamas — continue to have the ear of the Obama administration and of the MSM? The Hamas wing of the "Religion of Peace"
Islamofascism: Now that a federal judge has unsealed evidence showing the three most prominent Muslim groups in America support terror, Washington must cut all ties with them. U.S. District Judge Jorge Solis has ruled there is “ample evidence” to support the Justice Department’s decision to blacklist the Islamic Society of North America (ISNA), the North American Islamic Trust (NAIT) and the Council on American-Islamic Relations (CAIR) as unindicted co-conspirators in the 2008 Holy Land Foundation terror trial. He refused requests to strike their names from the list. At the trial, which ended in guilty verdicts on all 108 counts, FBI agents testified that ISNA, NAIT and CAIR are fronts for the federally designated terrorist group Hamas, which has murdered countless Israelis and at least 17 Americans. Indianapolis-based ISNA controls most of the Islamic centers and schools in the country through its NAIT subsidiary — a Saudi-funded trust that holds title to radical mosques, including the notorious 9/11 mosque in D.C. CAIR, headquartered within three blocks of the U.S. Capitol, is the nation’s largest Muslim-rights group. The trio for years have maintained they are “moderate” nonprofits that condemn terrorism. 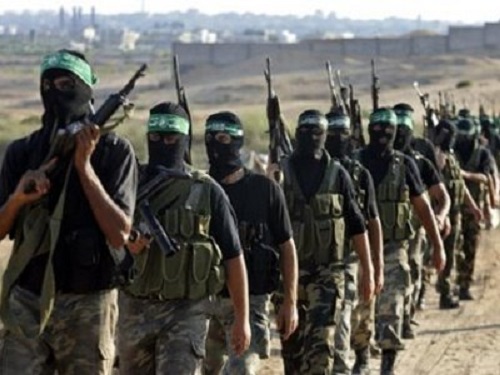 However, “The government has produced ample evidence to establish the associations of CAIR, ISNA and NAIT with Hamas,” Solis said in his 20-page ruling, written in July 2009 and unsealed just last Friday. Solis noted that investigators have traced “hundreds of thousands of dollars” from ISNA and NAIT bank accounts to Hamas suicide bombers and their families in Gaza and the West Bank. He said CAIR also took part “in a conspiracy to support Hamas.” Phone lists and other documents introduced by the government reveal CAIR and its founding chairman Omar Ahmad have operated as key members of Hamas’ U.S. wing, known as the “Palestine Committee,” according to the ruling. FBI wiretaps and agent testimony also placed both Ahmad and CAIR’s acting executive director — Nihad Awad — at a secret meeting held last decade with Hamas leaders in Philadelphia. In a hotel room, participants hatched a scheme to disguise payments to Hamas suicide bombers and their families as charity. ISNA also was mentioned at the meeting. You might ask, so what? Well, the radicals in this country aren’t the fringe; they represent the Muslim establishment. Outrageously, these dangerous fronts, cloaked as they are in religious garb, still enjoy charitable tax status. The IRS exempts their funding, much of which comes from the Middle East. And they are still free to lobby Congress, Homeland Security and the TSA against airport profiling and other anti-terror measures. Yet none are even registered as lobbyists, let alone foreign agents. Although the FBI has severed ties with CAIR, other government agencies have not. For instance, CAIR continues to select Muslim guests to speak and pray in Congress. CAIR chief Awad even prayed alongside Anwar Awlaki, now a fugitive al-Qaida cleric. The FBI, meanwhile, still does outreach with ISNA. And the White House has solicited the group for resumes. Many Muslims tied to ISNA have been hired for sensitive positions within the government. A handful of senators — including Chuck Schumer, D-N.Y. — have called for a governmentwide ban on these groups, a move that seems long overdue, given the new court evidence. At a minimum, the IRS should revoke their tax-exempt status.